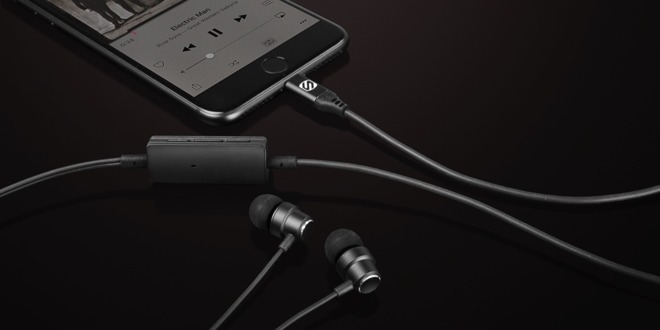 The Noise Isolation Earbuds with Remote & Mic and Lightning connector features what the company calls "high-efficiency dynamic drivers," a built-in microphone to record voice memos and an in-line remote for the connected device. The earbuds also have a four-foot cable. Each box includes small, medium, and large single-flanged silicone inserts for noise isolation and are available now in black or white for a retail price of $59.99. The Scosche iPhone 7 Lightning to 2.5mm remote is an in-line replacement cable specifically for Bose headphones. The remote features a built-in microphone for hands-free calls and activating Siri. 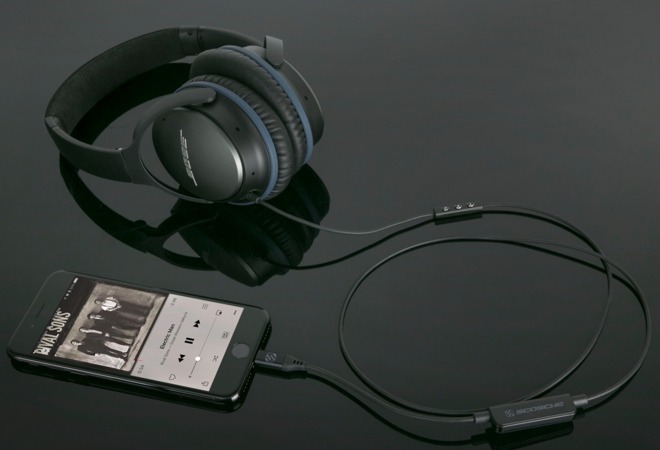 Compatible with Bose's QC35, SoundTrue, QC25i and OE2 headphones, the iPhone 7 Lightning to 2.5mm remote for Bose Headphones is available now for $39.99.